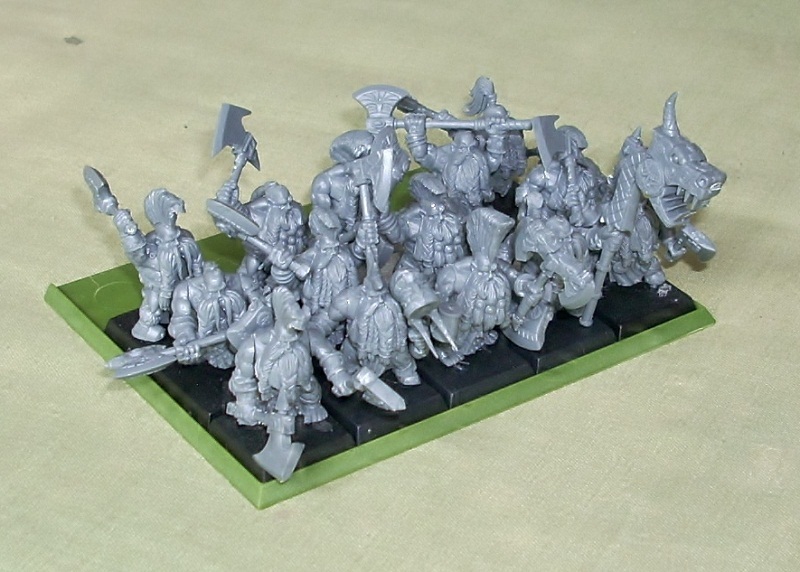 I have finally got the berserkers assembled and ready for priming. They are deployed 7 wide and 3 ranks deep, adding in the "engineer" that's 22 models from the original box of 20 models. Of course I am using a couple of 40mm bases with just 3 on each to save me a bit of space when racking up, as well as squeezing extra value out of an already very good value box of toy soldiers. The test colours proved useful, I am definitely not going to paint all their beards the traditional bright orange. I tried it on the engineer and it just does not appeal to me. I think I will go for a mix of browns and blondes, ignoring the fluff. I realised today that the blog has been running for just over three years. As a belated celebration I have whipped up a new banner, including a little montage of some of the figures I have painted. Deciding what to include was a tough one, in that time I have painted dwarfs, chaos warriors and deamons, orcs and goblins, elves, orks, chaos marines, a gameboard, plus a smattering of terrain. In the end I went with the most numerous/most recent, hopefully a good cross section of my painted armies. As well as looking back, I have also been planning ahead. 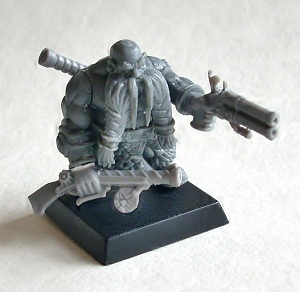 In the short term I intend to add reinforcements to my dwarf army, including the lovely AOW berserkers. 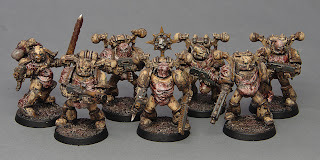 I have also made a good start on my Nurgle chaos marines and am hoping to keep to my squad per month commitment. 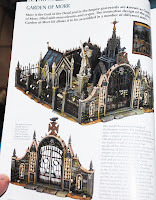 Looking further ahead, I think I have decided on what to do for my upcoming anniversary (20 years of Warhammer hobby in just over a year's time). It's quite ambitious, a complete army in fact, so I will have to get started in the autumn. Maybe. 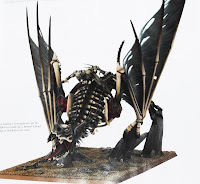 Vampire Counts players rejoice! Feast your eyes on this little lot, click on the thumbnails for a nice big view. And try not to drool on your keyboard. Taken from the latest White Dwarf, here's the new releases for the Vampire Counts army. The first two pictures show the options available in the Zombie Dragon box, including the new monster called the Terrorgeist. Two different riders make this a tempting prospect, hopefully the spare will be compatible with a plastic steed. Pick of the bunch for me is the Garden of Morr scenery set. The potential in this set looks amazing. 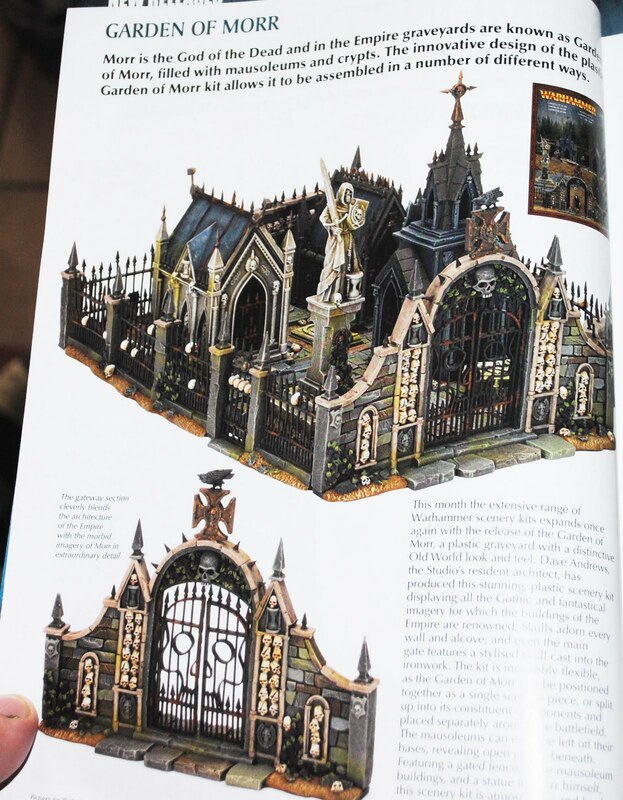 Coupled with the Chapel, this would make a fantastic centrepiece for a Vampire Counts themed piece of terrain. I will definitely be ordering this one! 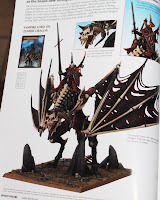 Finally, there's two new plastic blisters in the cairn wraith and tomb banshee models. 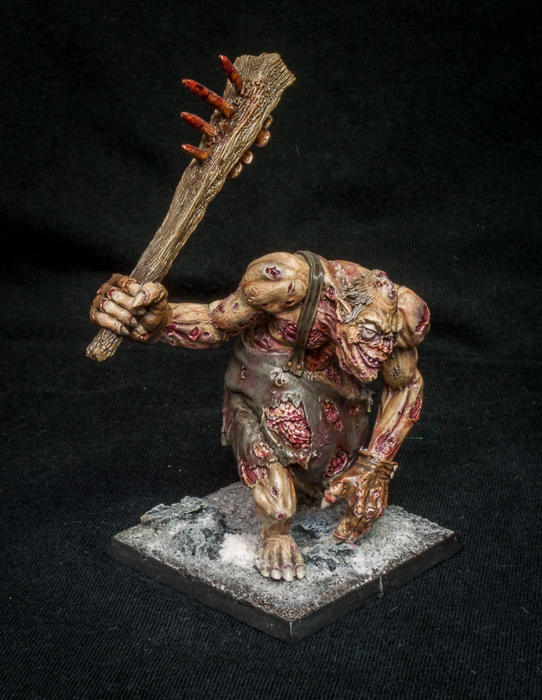 There are rumours that these are now hero choices rather than rare, which would be a return to the old style rules from the Undead army book from the early 1990's. It's been many years since I played a Vampire Counts army. Suddenly, I feel very nostalgic! 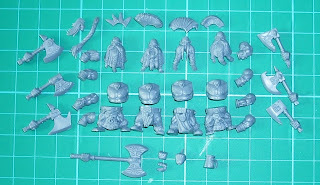 I have finished putting together the dwarf berserkers. Most of them are assembled straight from the box as slayers, but for the last one I wanted to try something a little different. So here he is, a very simple conversion that I think makes a reasonable engineer. The bits used are a combination of the AOW boxset and some GW dwarf bits. He has a pistol in his left hand and a handgun in his right, not strictly game legal but I just wanted to see how the components went together. The majority of the box are made up as a unit of 21 slayers, deployed 7 x 3. 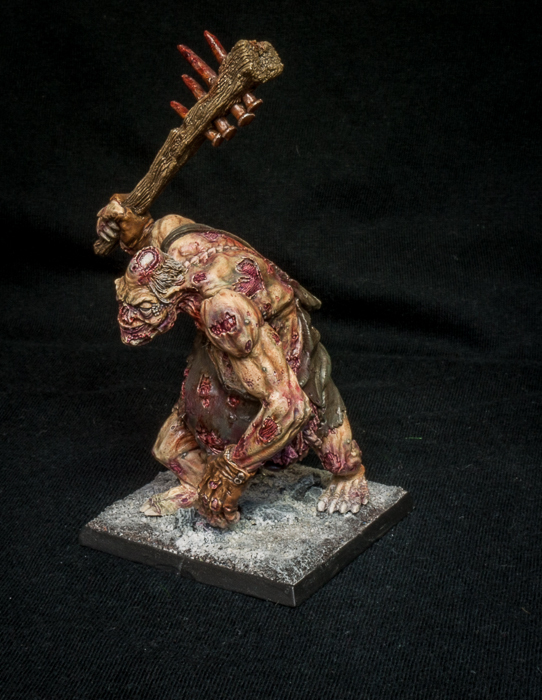 There are actually just 19 in the unit but it's pretty simple to stick 3 on a 40mm base and sneak it into battle! In their debut game the slayers faced chaos warriors. Though they were keen to get to grips with the dragon ogres or giant, they ended up fighting Khorne warriors. I feared for the shaven ones, but they managed to hold their own, admittedly partly due to some woeful dice on the chaos side of the table. Still, a unit of Khorne warriors was a very impressive first scalp, though I think they got a bit carried away when they charged a unit of Chosen. They did manage to take down about half the unit before finally returning to their ancestors. Now I just have to paint them all. The latest in my fairly random list of things painted over the summer is this very smiley giant. It's a resin model released by Ilyad Games, a French miniatures company sadly no longer in business. I managed to track this specimen down on ebay. 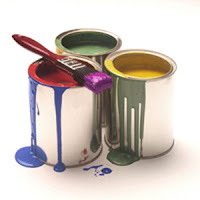 The level of detail is very good and the sculpting is top notch, making the painting a very straight forward experience. Starting with a white primer I applied most of the colours using glazes and washes. It came complete with a 40mm resin base, but I used a 50mm to be more correct for gaming and to be a more comfortable fit. It will be used as a Nurgle giant in my chaos army, it could even be classed as a daemon prince. It will be a while before Smiley sees some action, as I am taking a break from Warhammer while I try out some 6mm World War 2 gaming. When I do get to debut the happy chappy in a game, you can be sure I will report back to let you know how he gets on. Just hoping he manages to avoid an Empire army in his first game. The first squad of Death Guard painted for my Nurgle Chaos Marines army. These are mostly plastics from the chaos marines box, one of the flamer armed guard is a metal model. I tried out some new techniques on this squad. The models were primed black, then painted in chainmail. Then I applied some elementary shading in a black/brown wash. Then I painted the models browns and oranges, to emulate rusted metal. At this stage I gave them all a coat of Klear floor polish to act as a varnish. The next stage was the radical bit, as I sprayed them with hairspray. About an hour later I painted over a pale cream colour on all the armour bits. When this had dried, I took a few old splayed brushes, dipped them in warm water, and scrubbed off the pale cream. The warm water dissolves the underlying hair varnish, leaving a very nice random scratched effect. Then I glazed the armour with Gryphone Sepia to give this mellow yellow armour. Then it was back to more conventional painting methods as I picked out the remaining details. It's a technique used by military armour modellers, google "AFV hairspray technique" for dozens of articles and tips. I believe it's also covered in the Forgeworld painting manual. I will be using it again on the rhino for this squad, a subject better suited to the technique, though I am pretty happy with the way it has turned out on painting the individual squad members. 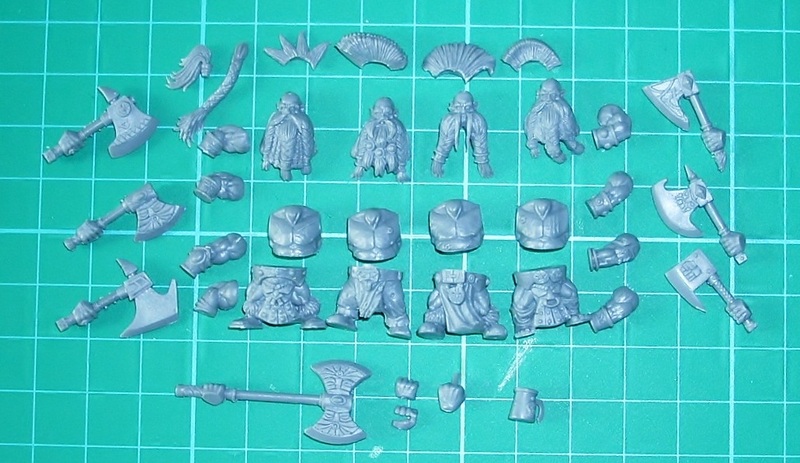 I noticed there was a lot of interest in my previous posts on the Dwarf Berserkers, so I took a picture of the components from the main sprue. There are a few other bits which I am adding to my bits box - a small dragon skull, a few dwarf medallions which I will probably use as shield bosses, a severed orc head, body piercings and chains. This photo shows the bits you will almost certainly use. Click on the picture to see them up close and personal. Anybody sitting on the fence about buying this boxset, I hope you find this useful. I could tell you how much I love these figures and they are the best plastic dwarfs I have found, but a picture is worth a thousand words, so have a look and make up your own mind! More progress on the stout ones. Three quarters of the unit assembled now, so you can get a good idea of how the unit ranks up. And for such little guys, it's a tight squeeze! You really have to assemble them as a unit, they each can take up a lot of real estate if you let them. Eagle eyed viewers will notice that I have slightly cheated here. Three of the dwarfs are stood on a 40mm base, in effect giving me an extra model, which is very useful because I will almost certainly deploy them 7 wide in 3 ranks.